Nick Xenophon accuses the Turnbull Government of stalling and lack of leadership. CANBERRA -- A fortnight after the Grattan Institute found competition in electricity retailing has failed to deliver lower prices for consumers, the Turnbull Government has ordered a review into the national retail electricity market. But influential senator Nick Xenophon has accused the government of "stalling", because it already "knows what must be done" to lower power prices. Under the new inquiry, the consumer watchdog and competition regulator, the Australian Competition and Consumer Commission (ACCC), will be given the power to demand information from electricity providers as it scrutinises electricity retailer behaviour as well as contracts offered to residential and business customers. A key focus will be a search for anti-competitive behaviour. The government won't say competition is not working, but does say consumers would be better off benefiting from competition in the national electricity market. Treasurer Scott Morrisonrefuses to rule out government intervention to re-regulate power prices. "What we are doing is observing some aberrant results that are coming out," Treasurer Scott Morrison told Sky News on Monday. There are a number of inquiries underway into power, including several into gas and pumped hydro, as well as the Finkel Review of the security of the national electricity market. "And now on the retail side of the electricity market we believe it is necessary to make sure consumers are getting the best deal there," Morrison told ABC Radio. "You have got to apply pressure in every stage of the process to ensure that Australians get more affordable, more secure, more sustainable energy." Morrison says he doesn't look at his power bill because he's never home so his wife deals withs it. The inquiry will be given until June 30, 2018 to report, although a preliminary report will be expected in six months. Xenophon has accused the Turnbull Government of "stalling" on helping consumers. "We cannot wait another 12 months when we know what needs to be done," he told reporters in Canberra. "Australia is facing an energy crisis and waiting 12 months for an ACCC inquiry is yet another failure of leadership on the part of the government to tackle these issues," he said. "There are businesses and consumers that simply cannot wait another 12 months before there'll be senate proposals which may or may not be acted upon." 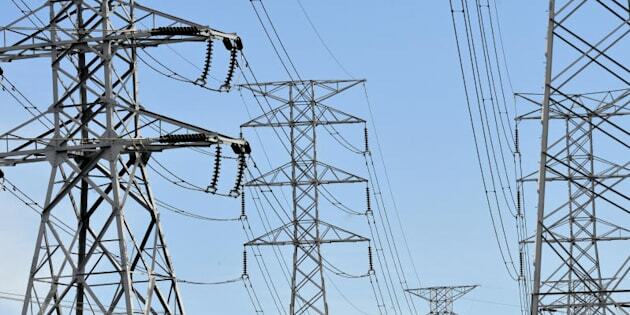 Earlier this month, the Grattan Institute found power prices in Sydney, Melbourne, Brisbane and Adelaide have almost doubled over the past decade and blamed a failure of the market. It warned that governments would need to step in and re-regulate prices if the industry does not lift its game. Morrison won't rule that out as it is "for the ACCC to do their inquiry" and he's told Sky News that while there have been other reviews into power prices, he wants "definitive data". "The ACCC will do their work. They will look at what is a very complex industry," the Treasurer said. "There is a lot of integration in these sectors and you have go to be able to pull that apart, look at the contracts, look at what is making up the costs and come to some clear judgments. "The ACCC has the power to do that. That is what they are there for." The announcement shifts the toxic energy debate from energy security to the ballooning cost of power in the last parliamentary sitting week before the federal budget. The ACCC will work with other relevant agencies, such as the Australian Energy Regulator and the Australian Energy Market on the inquiry.